I was in New Orleans last week attending Greenbuild, an annual conference and expo for the sustainable building industry. The conference ended Friday after three amazing days of classes, inspiring speeches, late-night dancing, networking, and visiting with manufacturers of green building products and technologies. There was so much to take in that I can only describe it as "drinking from a fire hose!" With the Greenbuild conference over and a little time on my hands, I knew that the place I wanted to visit was the Lower Ninth Ward, a neighborhood of New Orleans that was particularly hard hit by Hurricane Katrina in 2005. So I rented a bicycle and set out to see for myself the extent of reconstruction in this hurricane damaged neighborhood. If you've been following Sunset Green Home, you know that the project is also in a storm-damaged area - a neighborhood that was badly affected by Hurricane Sandy two years ago today. The previous house on the site of Sunset Green Home was made uninhabitable by the storm, as were two homes just east of the project site that are still boarded up. Two more neighbors on adjacent properties have made repairs to their storm-flooded homes and have raised the houses up onto pilings. Another neighbor next door has demolished a home that was affected by Irene in 2011 and then Sandy in 2012, and has broken ground on a new house. Everywhere you look in the neighborhood of Sunset Green Home, you are reminded of the havoc a powerful storm can wreak. So, for me, a visit to the Lower Ninth Ward was imperative. Coming across the bridge that connects the St. Claude neighborhood to the Lower Ninth Ward, the first thing I saw was the damaged shell of a home that was never repaired after Katrina. As I rode on, I was struck by the seeming randomness, block after block, of the wrath of the storm, which left some homes standing while adjacent homes were rendered useless. I saw boarded up roofs, reminders of the rescues that took place when residents who thought their upper floors would be safe had to break holes in their roofs to escape the rising flood waters. And then, after riding along the top of one of the levees, I turned onto a street and saw the first sign of the rejuvenation of the Lower Ninth Ward - a grouping of five single family homes sponsored by Global Green USA and completed from 2008 to 2009. These energy efficient homes, which are elevated above the ground and include resiliency measures to help protect residents from the next storm, are part of the organization's overall plan to help the community of the Lower Ninth Ward recover from Katrina. A placard on one of the homes explained the technologies and systems included in the homes. Continuing along the route that had been suggested by the bike rental shop, I rode up Flood Street (a sadly fitting name) to Florida Avenue on the northern border of the neighborhood. Florida Avenue runs along the edge of the Bayou Bienvenue Wetland Triangle. According to NOLA.com, the bayou "was once a thriving cypress-tupelo wetland forest that protected the Lower 9th Ward...from hurricane storm surges." But 20th century development - in particular the completion of the seldom used Mississippi River Gulf Outlet shipping channel in 1965 - permitted saltwater intrusion that eventually decimated the forest and took with it the natural storm surge buffer it represented. Today there are signs of the post-Katrina restoration efforts that are underway to restore the bayou's protective properties, as evidenced by the newly planted young cypress trees that pepper the bayou. Continuing on to the northwestern section of the Lower Ninth Ward, I finally found what I had hoped to see - a LEED Platinum community that has resulted from the efforts of the Make It Right Foundation. Each one of the homes that Make It Right has sponsored in this neighborhood has achieved this extraordinarily high standard in terms of resiliency, energy efficiency, water efficiency, indoor air quality and other sustainability measures. The homes are attractive and seem well cared for by their occupants. Clustered together, they serve as beacons in the neighborhood - encouraging us to think about what will be rather than what has befallen the area. At Greenbuild, I had the pleasure of touring the next Make It Right Foundation home destined for the Lower Ninth Ward. A modular construction by LivingHomes, with sustainable technologies and products donated by numerous manufacturers (such as Advanta Cabinets, Andersen Windows, CertainTeed, Electrolux and Kohler, the project's Platinum Sponsors), the home will be energy efficient, water efficient and have healthy indoor air quality for its occupants. I was thrilled when I stopped to speak with a construction crew that was working on a raised piling foundation and learned that the Greenbuild Make It Right home would be delivered to that site the next day. I had to go back! So, Sunday morning before I left for the airport, I took a second trip to the Lower Ninth Ward to see the installation in progress. One of three sections of the modular home had been delivered, and the remaining sections were due later in the day. I spoke with a member of the construction crew who told me that they hoped to set the three pieces in place Sunday. Linking them together and completing the construction would take several additional days. By the end of this week, there will be one more home in a growing LEED Platinum neighborhood. The Lower Ninth Ward still bears the scars of Hurricane Katrina, and as of 2014, nine years after the storm, more homes are still boarded up or have been demolished than have been rebuilt. But Make It Right Foundation's LEED Platinum community in the Lower Ninth Ward is demonstrating that we have the ability in the 21st century to build resilient, healthy, energy efficient, affordable communities. Walk through the streets of New York City, and you’re immediately aware of the ethnic and cultural diversity of its people. Then look up – and study the buildings. You’ll see the same sort of diversity in the city’s housing stock. From 19th century tenement buildings to 21st century steel and glass towers, from single-family homes to high-rise apartment buildings, New York City has it all! But, despite their apparent diversity, what most of these homes have in common is their lack of energy efficiency and environmental mindfulness. But that seems to be changing. Around New York City, we are seeing residential buildings being built or renovated according to green building standards. I recently had the opportunity to tour the first "row house" home built to Passive House standards in the borough of Queens. Because the Sunset Green Home project is registered under the LEED® for Homes program, I generally write about LEED projects. So what is the difference between LEED and Passive House? Both LEED and Passive House (which is also known as Passivhaus, as it originated in Germany) comprise a body of standards for sustainable building. In the case of LEED for Homes, the standards address many categories in addition to energy efficiency, including – among others – indoor air quality, the project’s location and links to its surrounding community, materials and resources used in its construction, and education of the homeowner. Passive House is a narrower set of standards that focuses primarily on energy efficiency, and seeks to minimize energy demand, heating and cooling requirements, and envelope tightness (air leakage). Passive House requires more of a project than LEED in terms of energy efficiency; LEED requires more of a project in terms of other important sustainability categories. Google the two terms and you’ll find a lot of people opining on which of the two is “better.” Although I am a LEED AP Homes (credentialed by the Green Building Certification Institute), I don’t have a dog in this fight! I applaud anyone who voluntarily elects to participate in either one of the programs (emphasis on “voluntarily”…since current building codes are considerably less stringent than either of these two standards). Back to the “Climate Change Row House” (so named by its owner, architect Thomas Paino) – the first multifamily row house home built to Passive House standards in Queens. Sunset Green Home and the Climate Change Row House have one thing in common: Flood zone requirements had a profound influence on both projects. Although Paino’s home was not flooded by Superstorm Sandy, which blew through New York City in October 2012, its living spaces needed to be elevated nearly four feet in order to comply with current flood zone requirements. Conventional house lifting doesn’t work when you have side walls in common with your neighbors. So Paino, an architect who has worked for two decades in sustainable architecture, got creative. He redesigned the home by raising each of the floors and keeping the walls intact. The façade was completely rebricked (the house had undergone a 1970s renovation and had a featureless white brick façade when Paino purchased it; while some have dubbed the Climate Change Row House one of the ugliest in Queens, its current façade is a vast improvement over what Paino started with). The Climate Change Row House boasts a host of design features that make it one of the most energy efficient homes in the city. Triple pane Schüco windows not only combat heat gain and loss through the building’s envelope, but they also provide extraordinary sound insulation. On my tour of the house, I was completely unaware of outside noise. Passive House homes have minimal penetrations to the outside. So Paino's kitchen has a Best by Broan range hood that does not exhaust to the outdoors, but that instead uses two recirculating charcoal filters to eliminate cooking smoke and odors. And because Passive Homes do not have combustion appliances - so a fireplace and gas range were excluded - the kitchen features an induction cooktop by Bosch. Passive Homes are so well insulated and sealed that they do not require much in terms of heating and cooling systems. All of the mechanical equipment for the Climate Change Row House fits into a small closet on the main floor, and includes a Heat Recovery Ventilator (HRV), which exhausts stale air and feeds preconditioned air into the house. A small Mitsubishi heat pump system is on hand if supplemental heat and cooling are required. Paino cautions that "when you seal up a house, you have to be very aware of materials" to make sure that they don't "offgas" toxins into the indoor environment - particularly important given the tightness of the building envelope (click here to read my earlier article on the impact of 21st century building practices on indoor air quality). MDF doors from TruStile contain no added urea-formaldehyde resins. Paints contain no volatile organic compounds (VOCs), and the handsome wormy maple floor was finished on site using a UV sealing technology that creates a durable surface without any harmful offgassing chemicals. The Climate Change Row House also collects rainwater from 50% of the roof into a cistern that was designed especially for urban homes. Paino uses the water to irrigate a sizable vegetable garden that he has planted in the double backyard formed by the home and an adjacent brownstone building that Paino also owns (and rents out to a tenant). He starts seedlings in the home's rooftop greenhouse. By growing produce on site from seed and irrigating with harvested rainwater, Paino reduces his household's consumption of fresh vegetables that must often travel great distances to reach the New York City market. A “Green Roof” garden, planted with several varieties of sedum, serves as a layer of insulation that keeps the rooms below it cooler in the summer than if the house were built with a conventional roof. The roof garden also absorbs rainwater, which means less stormwater runoff into the city’s already overburdened sewers. According to the New York State Department of Environmental Conservation, “In addition to being cited as a major source in one-third of all impaired waters, urban/stormwater runoff is noted as a major source of contaminants in 36% of all waters that experience lesser, but measurable, minor impacts to water quality, and a contributing source in nearly half (47%) of waters with minor impacts.” Paino’s design is an example of how urban dwellers can work to protect local waterways. Also on the roof is a solar thermal panel that generates the majority of the home’s hot water. Not only is the green roof attractive, but sitting on Paino's roof deck, one has a spectacular view of Manhattan just across the river. Because of the extent of the changes Paino needed to implement in order to conform with the flood codes, the City of New York designated Paino’s house as "new construction" rather than a renovation. The result of this designation? Paino told me that his ultra-efficient home would no longer be a candidate for Passive House certification by the Passive House Institute US (because the existing brick side walls would be maintained, Paino had originally designed the home to meet EnerPHit, Passive House Institute's renovation standard, which recognizes the challenges of refurbishing an existing structure and it less stringent in terms of envelope leakage). But that doesn't matter. The Climate Change Row House is still a superb example of how urban homes can be constructed for energy efficiency and minimal environmental impact. LEED Process, House Tours, Go Green! James Whittaker, a Caymanian with a background in finance and CEO of the GreenTech Group, a conglomerate of sustainable companies based in the Cayman Islands, has set out to green the Caribbean, one project at a time. Completed in 2010 and certified in 2012, GreenTech's Sailfish Estate home, a LEED Silver 5,000+ square foot luxury private residence, was the first LEED certified home outside the U.S. and Canada. Participating in the program's international pilot, it edged out a LEED certified residence in China to win this honor by mere days. Since then, Next Design & Development, the design, management and development company in James' portfolio of sustainability-related businesses, has either built or has on the boards a handful of residential developments, each of which will seek certification under the LEED for Homes program. His partners includes architect and LEED Green Rater, Stace McGee, a New Mexico based sustainability expert (who is also on the faculty of USGBC) who spends one week each month on the Island, and Ryan Ostendorf, a real estate and development expert and project manager. The latest GreenTech project to achieve certification won that honor this week - at a level of Gold certification. The residence is one in a development that requires homeowners to stick to an approved 3,000 square foot stock floor plan. Every house looks the same from the outside, but the 29 Venetia home isn't like those that surround it. Completed in 2013, its homeowners haven't paid an electric bill yet - in contrast to their neighbors, who spend $800 per month or more with the Caymanian electric utility. To achieve this level of energy efficiency, the home was constructed with insulated concrete forms, and included solar PV, solar thermal and a dehumidification system to protect the home from the Caribbean climate. GreenTech provided the LEED for Homes certification services and sustainability consulting for the project. Images courtesy of GreenTech (Cayman) Limited. Like many of us who have embraced sustainable development, James isn't only in it for the profits – although he acknowledges that green building can earn a careful developer a premium over a traditionally built home (while James estimates that a LEED home costs him 8% more to build than a traditional home, it can fetch up to a 20% premium on its selling price). He told me "I'm optimistic that we can do a lot of really great things in sustainability in Cayman and the Caribbean." And those great things aren't all about designing and developing LEED homes. James recently launched Project Green School as a pilot at the Triple C School in George Town, Grand Cayman to provide a "meaningful and fun perspective on sustainability." The program is introducing a sustainability and renewable energy curriculum in the school. Another of James' portfolio companies, GreenTech Solar, has installed solar panels at the school, and the students are being given solar kits. Two additional schools are waiting to pilot the program, and once they're up and running, Project Green School will host solar decathlons and inter-scholastic competitions. James expressed a hope that Project Green School will eventually encompass all the local schools and result in schoolchildren in the Cayman Islands growing up thinking about careers in the green economy. Eventually he would like to see Project Green School embraced in other schools across the Caribbean. Another of James' initiatives is facilitated by SMART Energy, another group company, which brings sustainable energy services expertise to the Cayman Islands. Among other essential services offered, SMART Energy transforms existing and inefficient commercial and residential buildings into highly efficient ones that become more profitable, less costly, more productive and sustainable places to work and live. James and I toured Grand Cayman for several hours, stopping at GreenTech Group projects at various stages of completion, ranging from empty lots to construction sites to completed homes. James explained that one of the keys to his success is his team's deep understanding of building science and sustainability. And when he hasn't been able to find the right green technology locally, he uses another of his portfolio companies, GreenTech, to import and manage the distributorship of the products he needs. James cited the example of Logix ICF. When he couldn't find ICFs locally with a high enough R-value (R26) for certain LEED Gold or Platinum projects, he negotiated for GreenTech to become Logix ICF's local distributor, thereby creating the supply chain integration that ensures the GreenTech Group can design and build to the highest LEED for Homes standards. Toward the end of my tour of GreenTech's projects, James and I spoke about legacy. He expressed his desire to help transform the Cayman Islands into a "hub of sustainability in the Caribbean." He says he has grand plans and small plans - that range from a $2 billion plan to stop the urban sprawl of the capital city of George Town to developing affordable housing to continuing to create luxury private homes, forming key industry organizations and educational programs. While his team often talks about highly attractive projects on other Caribbean islands, James asks them to stay focused on Cayman. "Let's focus our resources and perfect the model here first – and then take the show on the road." What do you build when you’re a successful commercial real estate developer, you’re ready to build a home for your family, and it’s 2007 – a year when the LEED for Homes green building program is still in its pilot phase? A LEED for Homes house, of course! 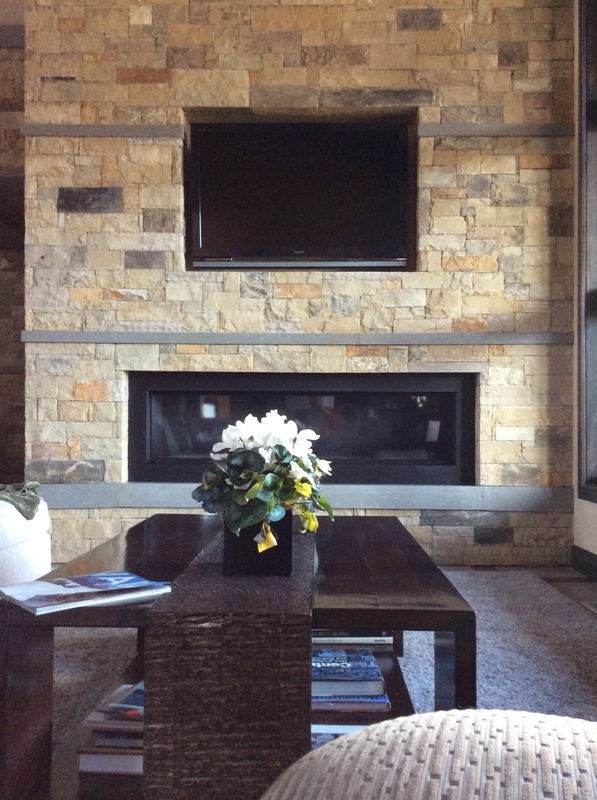 I had the good fortune of touring a “mountain modern” style home just outside Vail, CO this week. Frank Navarro, the homeowner, explained that when they bought the building lot, he and his wife Allison knew they wanted to build a LEED certified home. Frank is an architect-turned-sustainable developer, and couldn’t imagine building it any other way. Frank assembled a team that included a LEED accredited sustainability consultant, an architect who was well-versed in passive solar design, and a builder who, while not experienced with the LEED program, was nonetheless hungry to move his business in the direction of constructing sustainable homes. What struck me when I entered the house was how quiet it is. Frank explained that theirs was the first house in its area to use triple pane windows. Their views of the mountains across a wide valley are exquisite and face south, so large walls of glass were a key design feature. And triple pane glazing is how the team was able to achieve the insulating properties they needed. The architect designed deep overhangs to shade the home from summer sun while permitting winter sunlight to enter and warm the house. Photo taken from inside the home, through one of its large picture windows. One of the things I like about the LEED for Homes program is its flexibility in how a project team can accrue points toward certification. The Navarro home racked up points using sustainable finishes throughout. Exterior cladding is “beetle kill” pine – a local, sustainable option. The interior features low VOC cabinetry, plaster, paint and carpet – all of which earn points under the Materials and Resources category. But most interesting are such details as the beautiful pressed sorghum grass composite bar countertop, local stone fireplace surround with granite banding, poured concrete flooring set in a sustainably harvested wood grid, and recycled glass and concrete bathroom countertops. The house is extremely energy efficient, with a sizable solar PV array as well as a ground-mount solar thermal system that provides domestic hot water – taking advantage of the 300 days of sunshine that the area enjoys. When I asked if there were any elements he would have liked to include but didn’t, Frank mentioned rainwater harvesting – which was prohibited by local water rights laws. Instead, the home uses Xeriscaping – a landscaping method that uses drought-tolerant native vegetation and requires little or no irrigation. The home is large – 6,300 square feet – which meant that it needed to earn even more points for LEED certification than a comparable house of smaller size. Nonetheless, the house earned LEED Gold certification, and with no compromise in function or aesthetics. Frank has his sights on a LEED residential condominium development. Doubtless, if it’s anything like the home he built for his family, it will be beautiful, functional and sustainable.